Southern Illinois University School of Medicine was established in 1970 to assist the people of central and southern Illinois in meeting their health-care needs. SIU has focused on training caring physicians and is internationally recognized for its innovative teaching and testing techniques. Each of the four classes comprises 72 students. First-year students spend their year in Carbondale. Nearly 860 SIU graduates are now practicing in Illinois. SIU is a national leader in the percentage of graduates who enter primary care. SIU has approximately 325 resident physicians training in 17 medical specialty areas. It also awards masters and doctoral degrees in pharmacology, physiology, and biochemistry and molecular biology. Other degrees are a master’s of science in physician assistant studies, a combined MD-JD degree and a combined MD-MPH degree. The School also offers a Physician Assistant degree. SIU has more than 300 teaching physicians in family medicine, internal medicine, neurology, obstetrics/gynecology, pediatrics, psychiatry and surgery. The School of Medicine, its outpatient clinics SIU HealthCare, and its teaching hospitals, Memorial Medical Center and St. John’s Hospital, make Springfield an expanding academic medical center with considerable clinical, educational and research expertise. It has 25 building locations. In 1968, the Illinois Board of Higher Education (IBHE) included a recommendation in a long-range planning document, Education in the Health Fields for State of Illinois, that Southern Illinois University create a medical school in downstate Illinois capable of graduating its first class of new physicians by 1978. The University responded and determined that it could make maximum use of existing facilities and expertise by basing the clinical education programs of the new school in Springfield, which had large sophisticated hospitals and a strong core of physicians in the various specialties, and the basic science programs in Carbondale, making use of the educational resources already available on the campus. Richard H. Moy, M.D., was hired in 1970 as the new school’s founding dean. He and newly recruited department chairs and clinical, basic science and medical education faculty began creating the School’s innovative, competency-based curriculum which was designed to train new doctors over a three-year period. The basic sciences were concentrated on the Carbondale campus and the remaining years of the medical school curriculum and most residency programs would be delivered on the Springfield campus. When Dr. Moy retired in 1994, Carl J. Getto, M.D., was appointed second dean and provost. J. Kevin Dorsey, M.D., Ph.D., became the third dean and provost in 2001. 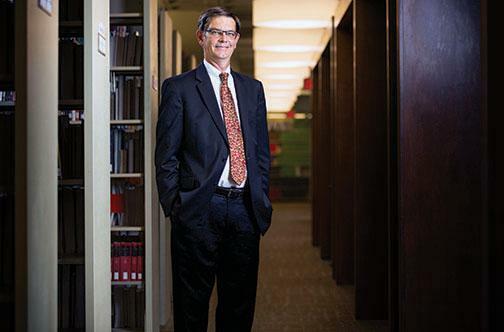 He stepped down as dean and provost, returning to teaching medical students in 2015. On January 1, 2016, Jerry Kruse, MD, MSPH, Executive Associate Dean and CEO of SIU HealthCare since 2013, became the dean and provost and retained his title as CEO of the practice plan, which was rebranded "SIU Medicine" in 2016. The mission of the Southern Illinois University School of Medicine is to assist the people of central and southern Illinois in meeting their health care needs through education, patient care, research and service to the community. The School’s medical education curriculum received provisional accreditation from the Liaison Committee on Medical Education (LCME) in 1972, allowing the members of the charter class to begin their studies in Carbondale in June 1973. Full accreditation came in 1975, followed that same year by the first commencement of 24 advanced-standing students and in 1976 by the graduation of 43 students in the charter class. In 1980, the IBHE approved converting the School’s three-year curriculum to a four-year program. In May 1972, the family medicine residency program in Springfield received preliminary accreditation and SIU’s first graduate medical education training program began in July. Also in 1972, the School’s Medical Dental Education Preparatory Program (MEDPREP) was established. The goal of the pre-med program was “To increase the number of medical minority group physicians practicing in central and southern Illinois.” The first MEDPREP students began their studies in 1973. Originally, medical school was a three-year program. In 1984-1985, students transitioned to a four-year program, as it remains today. SIU School of Medicine quickly became a leader in medical education, recognized for its innovative teaching and testing methods. An early milestone was the publication of Curricular Objectives 1976, the first time a medical school had published a complete set of goals and objectives for the medical degree. In 1984, the School jointly sponsored with the Josiah Macy, Jr. Foundation, an invitational conference for medical educators, “How to Begin Reforming the Medical Curriculum.” Eventually, most U.S. medical schools studied SIU’s medical education program as they began reforming and updating their curriculums. SIU was a leader in innovative methods of teaching medical students. At the time SIU School of Medicine was created, medical education was driven by lecture after lecture. The innovative faculty at the SIU School of Medicine, led by Dr. Moy, envisioned a better way to teach medical students. Problem-Based Learning (PBL) became an optional track medical students could choose. Problem-Based learning uses real case studies and interactive training methods to expose students to real-world problems. The SIU curriculum also emphasizes integrating basic science principles with clinical problems. With the leadership of Howard Barrows, MD, former associate dean for education and curriculum, SIU School of Medicine became a world-wide leader in the use of Standardized Patients (SPs), in which a citizen is trained to act like a patient, allowing medical students to practice their clinical and exam skills in controlled, supervised setting. Standardized Patients and Problem-Based Learning have been adopted by nearly all medical schools in the world. Dr. Debra Klamen is the current associate for education and curriculum. Dr. Erik Constance is the associate dean for student affairs. In 1985, the School established a requirement that all students satisfactorily complete a final comprehensive performance-based assessment procedure (using standardized patients) as a condition of graduation with the M.D. degree. In 1987, U.S. News and World Report described SIU as the medical school most frequently cited as having an innovative program. In 1988, the School approved adding a unique, six-year dual-degree M.D.-J.D. program to accommodate the increasing number of individuals seeking interdisciplinary education. In 2000, after an extended period of study and evaluation, the School of Medicine implemented a newly re-organized curriculum that emphasized principles of problem-based learning. These included self-directed small-group learning activities centered around actual patient problems, and integration of basic sciences and clinical sciences managed by interdisciplinary teams of faculty. In 2012, SIUC’s Physician Assistant (PA) program transferred from the SIUC School of Allied Health, College of Applied Sciences and Arts, to the SIU School of Medicine. The PA program was made a division within the Department of Family and Community Medicine. Also in 2012, The MD/MPH joint program of SIU School of Medicine and the SIUC College of Education and Human Services began. Students in this five-year program receive both a doctor of medicine degree and a master’s degree in public health. SIU School of Medicine has remained world-renowned for medical education. In 2013, the School received three international ASPIRE awards from the Association for Medical Education in Europe (AMEE). SIU was the only medical school to be recognized in all three areas:tudent assessment (how well the performance of students is evaluated), student engagement (how involved students are in their own education and the curriculum), and social accountability (how the school exposes its students to the needs of the public and the community). In 2016, a new third-year curriculum will allow students to better develop their clinical skills. The Memorial Center for Learning and Innovation (MCLI) includes the Roland Folse Surgical Skills Lab, Continuing Professional Development, and a simulation center to maintain our level of educational excellence. In addition to the undergraduate medical curriculum, SIU expanded its residency training programs. By the end of 1972, four more residency programs had been approved, with internal medicine, obstetrics/gynecology, pediatrics and surgery joining family medicine. A psychiatry residency was added in 1973. Training programs in anesthesiology and radiology were added in 1974. Emergency medicine was added in 2009; Neurosurgery in 2013, bringing the total programs to 17. Fellowships have been steadily added to graduate training offerings. In 2014, 12 fellowships were offered. Graduate programs leading to master’s and doctoral degrees on the Springfield campus were approved by the IBHE in 1987. Programs currently are available in molecular biology, microbiology and biochemistry; pharmacology; and physiology. Rather than owning and operating its own teaching hospital, the SIU School of Medicine partners with local hospitals to provide necessary clinical experiences for our students. In 1970, the year of our founding, we signed affiliation agreements with St. John’s Hospital and Springfield Memorial Hospital (now Memorial Medical Center). Subsequent agreements have also been signed with the Veteran’s Administration Hospital in Marion, Memorial Hospital of Carbondale, St. Mary’s Hospital and Decatur Memorial Hospital in Decatur, and Blessing Hospital in Quincy. In 1973, the School’s medical practice plan, Medical Service and Research Plan (MSRP), was established to provide a basic business structure for the physician practice. The MSRP was reincorporated in 1997 as SIU Physicians & Surgeons, a multi-specialty group practice. In 2009 the practice plan was renamed SIU HealthCare. As a medical practice associated with SIU School of Medicine, the new name was intended to capture the full array of health care services provided and strengthen SIU’s commitment to provide the highest quality medical care available in the region. Nine institutes and centers deliver advanced patient care. These include Simmons Cancer Institute, Center for Alzheimer's Disease and Related Disorders, the Center for Family Medicine, the Southern Illinois Trauma Center, the Neuroscience Institute and the world-renowned Fertility and IVF Center. At SIU School of Medicine, research includes biologically oriented studies as well as studies related to the cultural and behavioral aspects of medicine, methods for the delivery of health care, and the medical education process. Our early research efforts focused primarily on medical school curriculum design, delivery and evaluation. Subsequent areas of clinical research strength included neuropsychopharmacology, including Alzheimer’s disease, cancer, auditory research and reproductive biology. Our current research efforts cover a wide range of basic and clinical sciences with special emphases on cancer, hearing and aging. The expansions of the Springfield Combined Laboratory Facility and the Simmons Cancer Institute at SIU have enabled us to broaden research that benefits the region. About two-thirds of the School’s research is funded by federal agencies such as the National Institutes of Health. Other support comes from health associations, pharmaceutical companies and private foundations. In 2009, the SIU School of Medicine added a fourth declaration to its mission: service to the community. SIU has always taken seriously its role as a part of the communities where we are located, especially Carbondale and Springfield. Not only do we have partnerships with the local hospitals, but we have also reached out to communities in our service areas in downstate Illinois through continuing education programs, clinical services, the rural health initiative and telehealth programs. Numerous physicians travel to towns in central and southern Illinois to treat patients in weekly or monthly clinics. SIU School of Medicine has been part of the Springfield Public School District #186 Partners in Education, or Adopt-a-School program, since 1986. Medical students and some employees provide a mentoring/tutoring program to students at Enos Elementary School. Medical students organize an annual “Shoes That Fit” drive for Enos students, and various other programs and support activities take place throughout the year. Continuing Professional Development (CPD) offers a full range of educational experiences that enhance health care professionals’ knowledge base, provide updates and review, and expand professional skills. The first CME program was offered in Carbondale in 1972. The CME program was first accredited by the Council on Medical Education of the American Medical Association in 1975. In 2011, the programs received Accreditation with commendation. (Note: The Office of Continuing Medical Education is now know as the Office of Continuing Professional Development. The School’s Telehealth Network and Programs began in 2002. Our telehealth professionals help provide access to high quality specialized health care, connecting experts with colleagues in rural communities, delivering educational opportunities in a timely and cost efficient manner, and conducting academic research. SIU is fortunate to have one of the few medical museums at a medical school. In 1980, the Emmet F. Pearson, M.D. teaching museum in the 801 N. Rutledge building was dedicated. The museum includes a restored doctor’s office; the Lewis Drugstore, with antique soda fountain and original prescription counter; special exhibits and many medical artifacts. It is named in honor of Dr. Pearson, a Springfield physician and student of medical history, whose generous contributions played a major role in building the core of the museum’s collection. A new logo and brand, "Forward for You," was introduced in January 2016. The Office of Population Science and Policy was created in 2016, strengthening SIU Medicine's population health focus. As SIU School of Medicine approaches its 50th anniversary in 2020, it continues to fulfill its mission to address the health care needs of the people of the region. It continues to uphold its tradition of excellence and innovation in all areas of the mission.